We are getting closer and closer to fall and now it's the perfect time to enjoy the last bits of those summer days. So bust out your favourite summery tops and rock them while the weather still allows it. 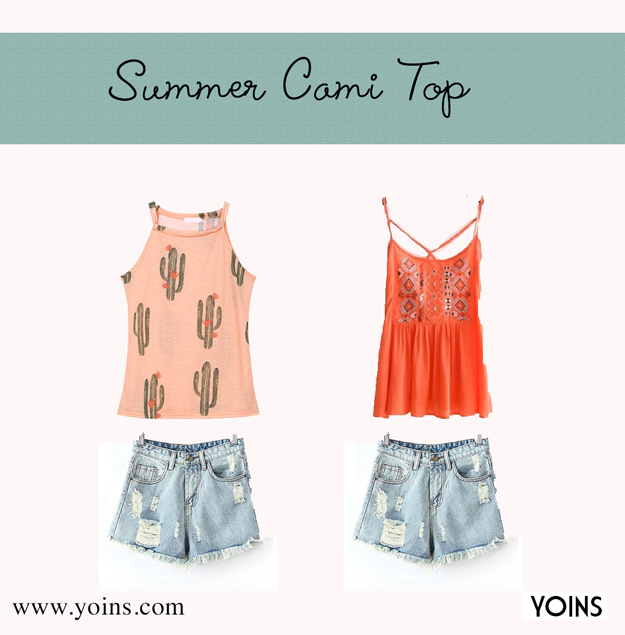 Today I am partnering with Yoins to bring you a few tops that are just too perfect for those sweltering heat. First up is a cami or some people might call it tank top. There are so many options and it's so easy to rock this with your favourite shorts. I personally like white shorts for summer because of its versatility so any of this top will make my summer wardrobe complete. Another summer staple favourite of mine is a crop top and I love pairing them with them.. again, a denim short, preferably highwaisted. It's just so chic and fun and oh so summery. The cactus printed tank top is sooo cute I would wear it in a heartbeat. I included direct link to each items but if you want to see more of women fashion vest online, just visit Yoins. I am an avid fan of prints so it's no wonder that both the cami tops and crop tops have some sort of prints on it. I think those prints are what makes an outfit a summer outfit. The tropical print on the left outfit is super duper cute. And the uneven hem creates a slimmer was silhouette. I wouldn't mind rocking both outfit to enjoy the last days of summer. 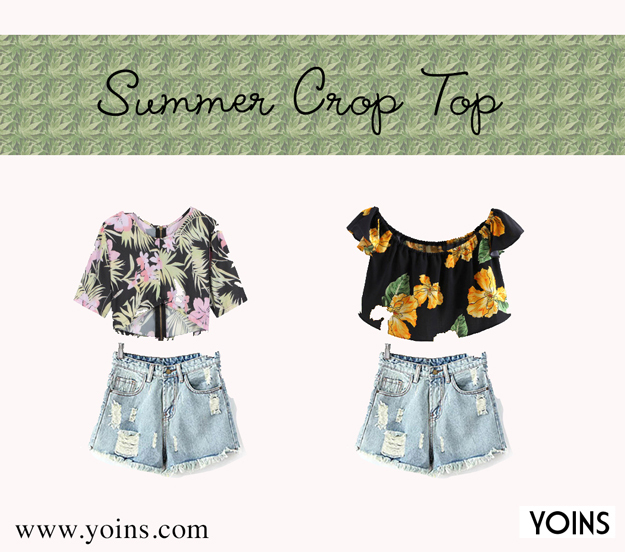 As per usual, below is direct link to each items, but for more of stylish crop top online, just browse around at Yoins.